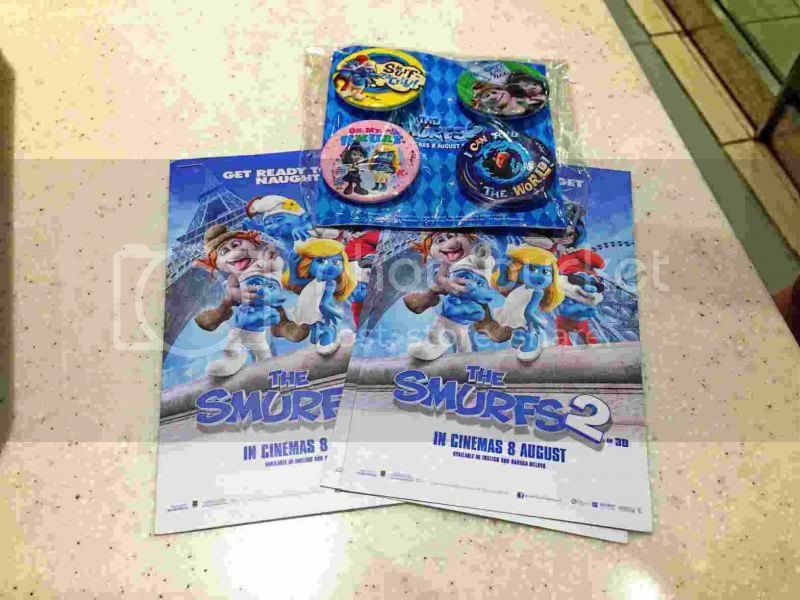 The Smurfs 2 badges and the tickets. 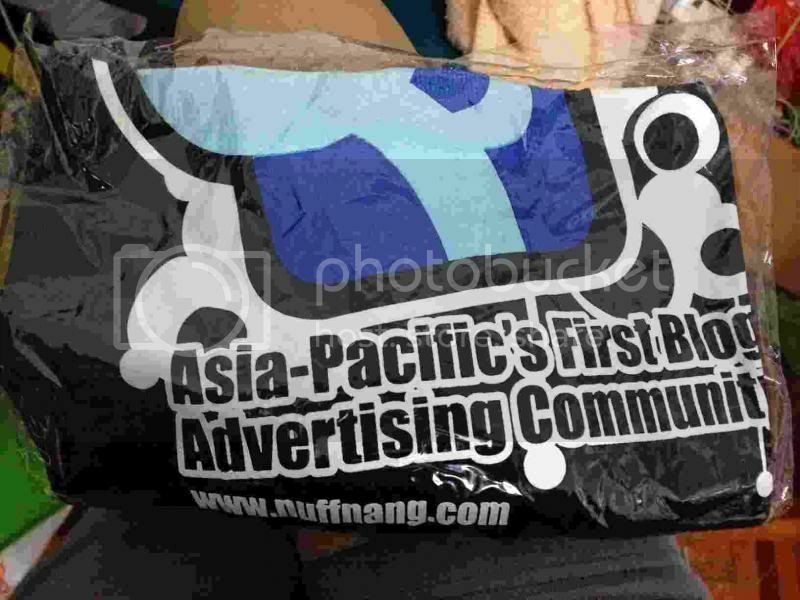 Actually I wasn't sure who won the badges or the Nuffnang tee because it didn't really matter to us since both of us will share the stuffs that we won. Heheh. Smurfette is having nightmares about betraying her fellow Smurfs and turning them over to Gargamel to be captured. Meanwhile, the Smurfs are preparing a surprise party for Smurfette's birthday, but as Smurfette tries to find out what her fellow Smurfs are planning, none of them are saying a word. She takes this to mean that she is not welcomed in the village as a Smurf. In Paris, Gargamel is now a star attraction, amazing people with his sorcery, but he sees that he is running low on the Smurf essence that gives him his magic powers. 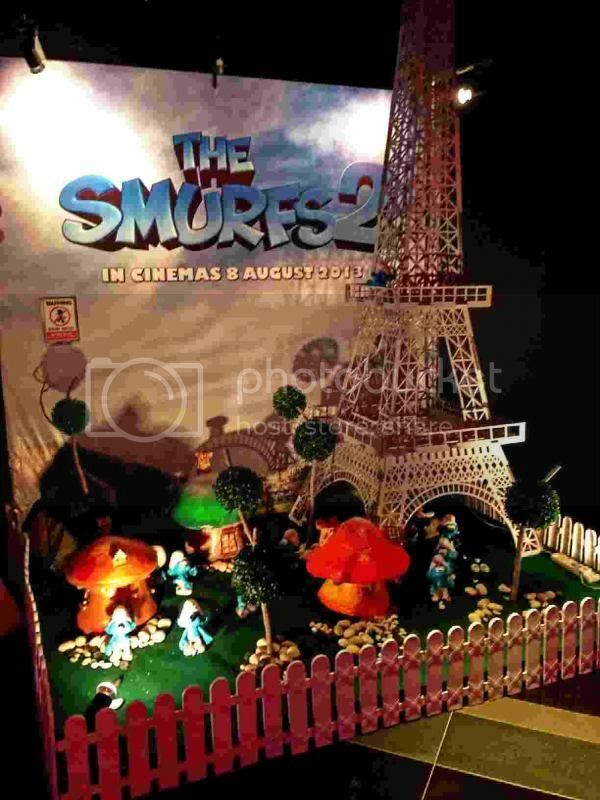 With his new creations, the Naughties Vexy and Hackus, Gargamel plans on opening a portal to the Smurf village by using the Eiffel tower as a conduit so that he can kidnap Smurfette and get Papa Smurf's secret formula for creating Smurfs through her, . However, as the portal he created isn't big enough for him to go through, Gargamel takes Vexy and sends her through to the portal to grab Smurfette and bring her to Paris. Papa Smurf uses his magic to create crystals that would allow several of his Smurfs to travel directly to Patrick Winslow's residence in New York City in order to get his help to rescue Smurfette. Papa and the three Smurfs, Clumsy, Grouchy and Vanity arrive in the apartment right after the celebration of Blue's fourth birthday where they meet both the Winslows' young boy and Patrick stepfather Victor Doyle, a man who is a constant embarrassment to Patrick. The Smurfs soon discover where Gargamel is, and so they and the Winslows set off for Paris in order to find him. After their arrival in Paris, Patrick and his wife Grace work together with Victor to distract Gargamel during one of his performances while the Smurfs sneak backstage in order to find Smurfette, only to discover what Gargamel is planning. At the same time, Smurfette escapes from the prison and Vexy and her partner Hackus chase after her. Upon her return to Gargamel's hotel suite with the Naughties, Gargamel presents her with a gift, her very own tiny dragon wand as a feigned act of kindness, claiming that he was Smurfette's father all along and that Papa Smurf had no interest in her. Smurfette is still reluctant to give Gargamel what he wanted until she sees that the Naughties are dying due to a lack of Smurf essence. Realizing that the secret formula is the only way to save them, Smurfette quickly writes it down and Gargamel mixes it up to turn the Naughties into real Smurfs. Immediately after they become Smurfs, the evil wizard puts them into his Smurfalator so he can carry out the rest of his plan. Meanwhile Patrick, Victor, and the Smurfs work together to rescue Smurfette. The Smurfs are soon captured and put into the Smurfalator and used as material to power the evil wizard's bigger dragon wand. Patrick and Victor arrive just in time to destroy the Smurfalator, causing the Smurf-created formula to be destroyed in blue pixie dust. Unfortunately, Gargamel has gained enough power to use his new wand against the Smurfs and their allies. Vexy and Hackus team up with the Smurfs against their former master and use the new wand to blast him away. Gargamel and Azrael are then pulled into the portal, sending them back to their castle. Hackus is really funny in this movie. 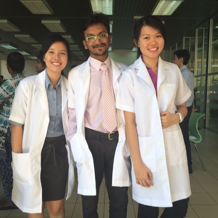 But too much of stories focusing on Vexy and Hackus rather on the smurfs. =( Anyway kids can watch this. I find it not worth watching for the second time because it's quite predictable. Rate of the movie: 3/5.